Three Rivers Press, 9780307590329, 432pp. 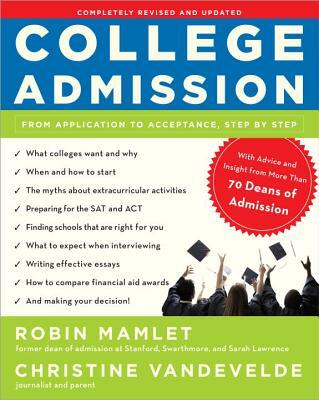 ROBIN MAMLET is the former dean of admission at Stanford, Swarthmore, and Sarah Lawrence, where she made over 100,000 admission decisions. Today, she helps colleges and universities find and select their deans of admission, leading the Enrollment Search Practice for Witt/Kieffer.